Storytelling is a powerful tool to help shift narrative, humanize people’s lived experiences, and bring about social change. Stories open up the possibility to engender empathy, and can even change preconceived notions or biases, if told correctly. 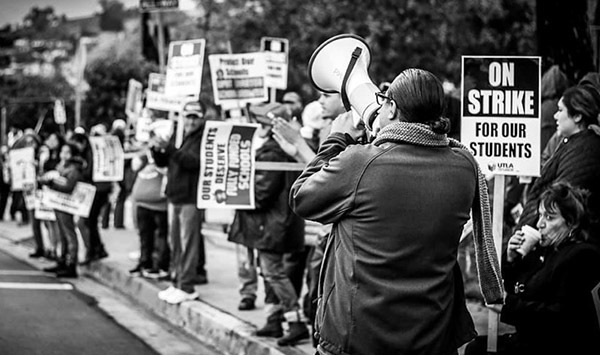 Telling stories prove an essential part of a complex collective strategy for immigrant youth and immigrant rights activists to change the national immigration policy discourse. 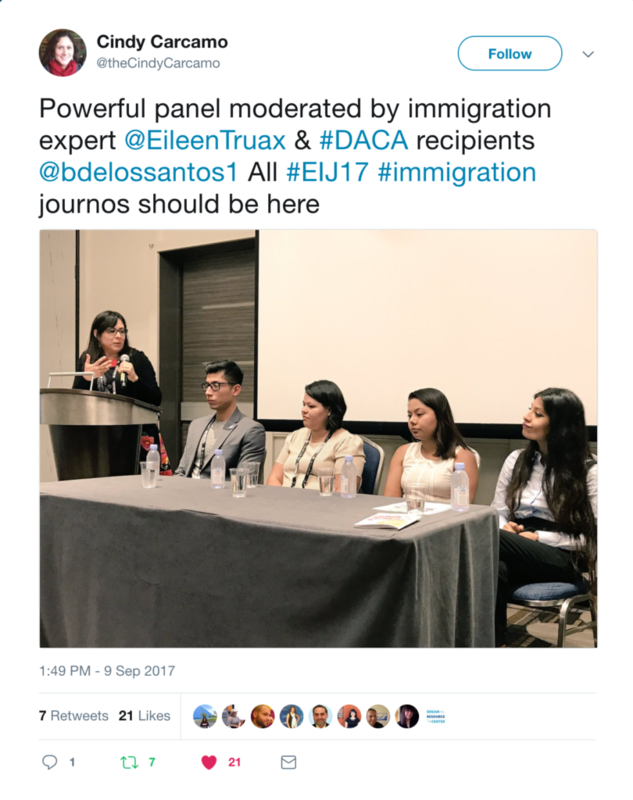 In an effort to uplift narrative around immigrant youth and the issues that affect them and their families, Undocumented Stories, a project of the Dream Resource Center (DRC) at the UCLA Labor Center, presented panel discussion at the Excellence In Journalism conference, an international gather of journalists. 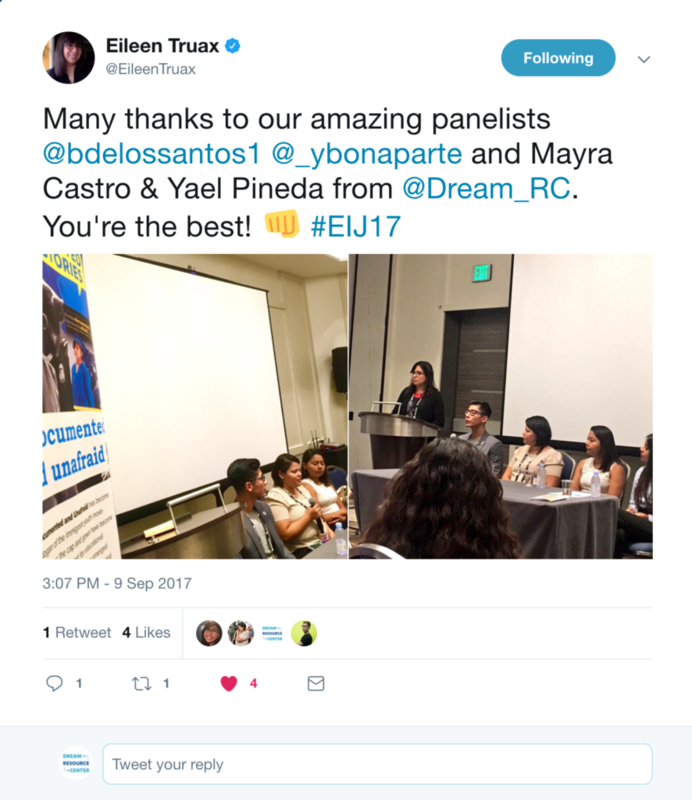 The bilingual panel was composed by immigrant youth, experts, and journalists working under the DACA program. DRC’s Project Coordinator Yael Pineda, and Dream Summer Alumna, Mayra Castro, spoke on current uncertainty among the immigrant community, the role of the media, building trust within the immigrant community, creating narrative that is inclusive, a narrative that doesn’t perpetuate problematic terms and misconceptions. “The invitation to participate at the panel allowed us to discussed ways by which the media can report on undocumented immigrants living in the United States. 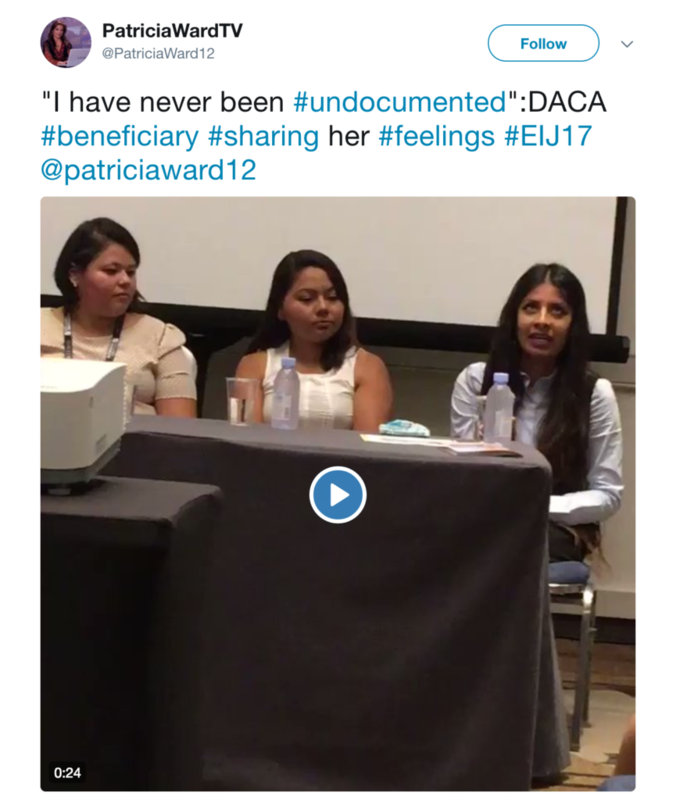 It included no longer using and instead dismantling the “DREAMer” narrative, not criminalizing our parents and the older generations, treating interviewees like human beings rather than a story, and using our narratives as a tool of empowerment rather than framing it as a “weakness.” We also discussed future strategies, changes in our careers and jobs due to DACA, and life before and after DACA.” Yael said. “It allowed both sides to sit down and share their thoughts. As a subject I was able to talk to the media on their portrayal of the undocumented community. 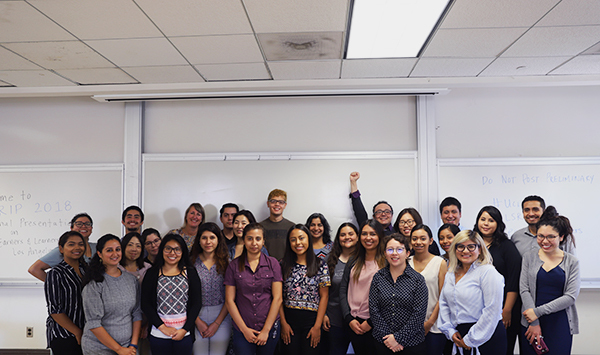 Media members were able to share their strategy in covering sensitive topics and humanizing the issue.” Dream Summer Alumna, Mayra Castro, said. The power of storytelling to convey arguments that go beyond numbers is more important now than ever. Undocumented Stories is a multimedia exhibit curated by UCLA students, DRC staff, and SolArt, utilizes storytelling to uplift the lived experiences of unaccompanied minors and undocumented youth who have built a movement to change policies impacting higher education, access to healthcare, and deportation proceedings.